Jerry Seinfeld is the highest paid comedian in the world in 2017 – Royal Times of Nigeria. 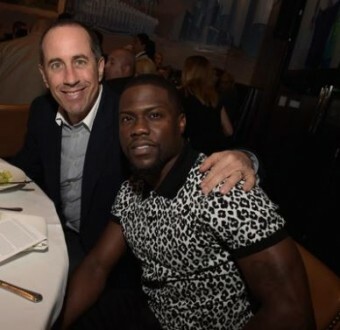 American actor and comedian, Jerry Seinfeld is on top of Forbes’ list of the world’s highest-paid comedians, dropping Kevin Hart who took over from him last year to No.6 on the list with $ 32.5 million. The magazine reported that a huge Netflix stand-up deal boosted Seinfeld’s bottom line to a whopping $69.0 million last year. Seinfeld’s pal Chris Rock is second with a $57.0 million, followed by Louis CK, who earned $52.0 million, according to the 2017 list. Dave Chappelle and Amy Schumer round out the top five with $47.0 million and $37.5 million, respectively. Massive deals for TV comedy specials, like $20 million-per-special contracts that Rock and Seinfeld scored, are what bolstered the incomes of most of the top comedians. Forbes said the magazine created its list based on revenue from touring, television and film projects and business and endorsement deals. It calculated the figures on the comedians’ pretax income from June 1, 2016, through June 1, 2017.